I had a busy and brave few days last week! 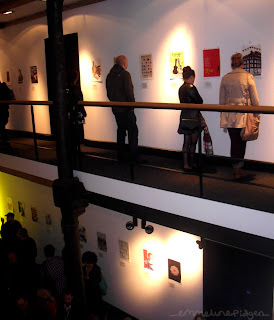 Last Thursday (the twenty-seventh day of October to be exact) I was involved in the Manchester and Salford Illustrated / Wood Street Mission charity exhibition. 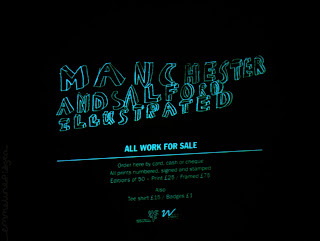 The main premise of the exhibition was for illustrators to create a piece based on the phrase 'What does Manchester mean to you?'. They, kindly, said yes and the print was put up in the exhibition as a slightly aside thing, but with all the money raised from the sale of it going to Wood Street Mission charity. 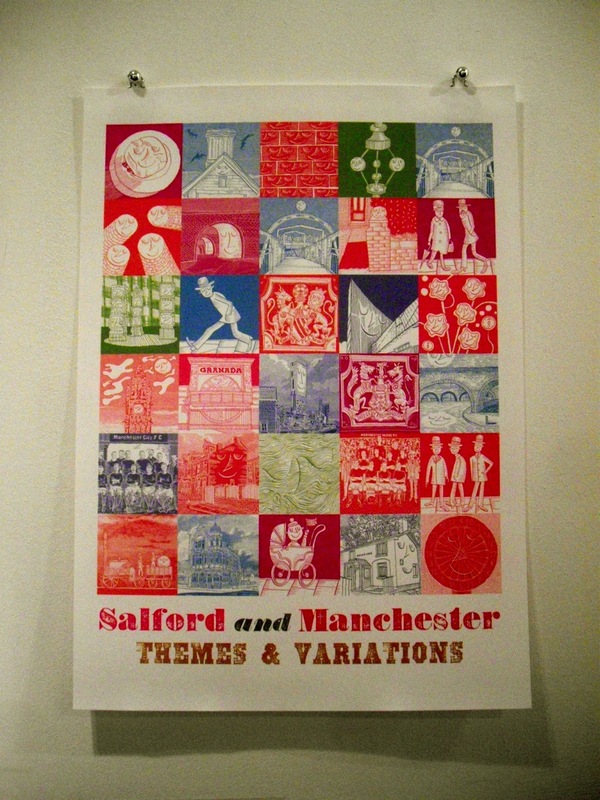 There were pieces of work in the MASI exhibition was incredibly gorgeous like this print below by Robert Shadbolt. Some of the prints had fantastic stories behind them, in particular Emma Reynold's piece which was inspired by a busker she met in Burger King writing what she thought was a letter. She offered him a stamp and he told her that infact he was writing a sci-fi novel! There were lots of lovely people milling around, a ton of sparkly cupcakes and many glasses of wine! Towards the end of the evening one of the organisers Steve, made a speech about my print and the reasoning behind it, which made me rather bashful, but hey - I managed to speak loud enough when I was asked questions about it with everyone listening! Straight after the speech the print was sold for a respectable £50, adding to the £2000 raised for Wood Street Mission that night. 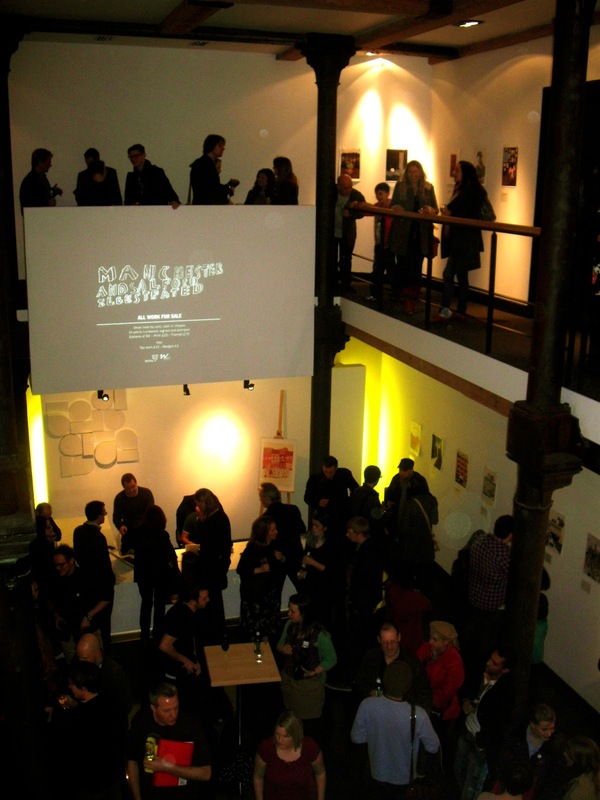 Apparently there'd been a lot of interest in it throughout the night! The lovely lady who bought the print came up to me after the speech and asked me more about the print and it's back-story. She was thrilled to have got it as it was the last one available. She said 'We came in and as soon as I saw it I knew that was the one I wanted' (vague quote). 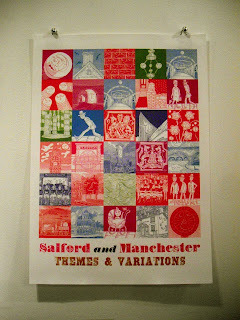 It was really flattering and it's fantastic that the print could go on and help out another Manchester based charity aside from the roughly £1k we raised for Leap Confronting Conflict and Reclaim Project Manchester with the original screenprint auction. 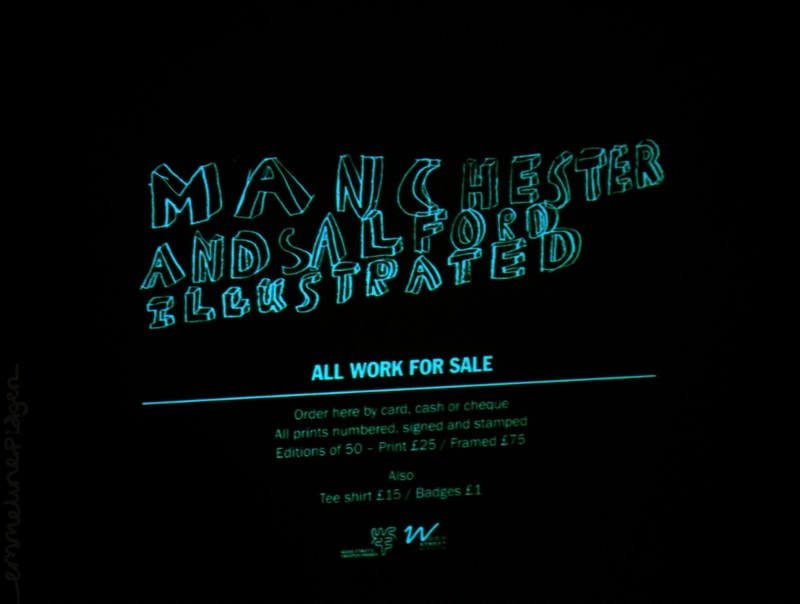 The exhibition's on from the 27th of October - 10th November so if you're in Manchester pop down to 52 Princess Street and have a nosey. 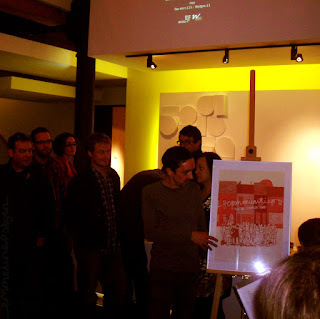 Last Tuesday I went to the first Draw North West illustrators meet up event in Manchester organised by @thatmadden . I didn't know anyone there (well, a few people through twitter but not real life) so I felt very brave biting the biscuit like that and meeting everyone. 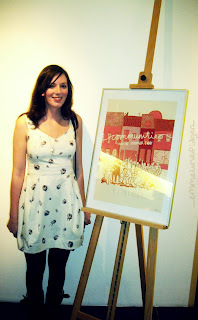 It was fantastic to meet lots of very lovely and very talented illustrators, a few of which were in the MASI exhibition too! That's all for now peas.